Dr. Jim is passionate about serving the church of Jesus Christ, bringing almost 30 years of experience to this ministry. Currently, as the lead pastor for Covenant Presbyterian Church, Jim is the primary preacher on Sundays, and serves alongside a dedicated staff in providing worship leadership, celebrating baptisms and the Lord’s Supper, pastoral care, and officiating at funerals and weddings. Jim also serves as the moderator of the administrative board of the church, the session. Jim’s service extends into the greater community as he currently serves on the board of the People’s Pantry at Church Road, and has served on the COAD board and Great Valley School strategic planning. Within the denomination of the PCUSA, Jim has served as moderator of Donegal Presbytery as well as different presbytery committees. Jim’s educational background includes religious studies at Princeton Theological Seminary (Masters of Divinity), Palmer University (Doctor of Ministry). Prior to entering the gospel ministry full time, Jim worked in industrial and quality control engineering in the steel industry, and earned graduate degrees in mathematics and business administration. Jim’s loving and devoted partner for this faith journey is Mary Gossard. Jim and Mary have been married over 42 years and rejoice with three grown children and two grandchildren. When not serving at Covenant, Jim and Mary are known to frequent lower, slower Delaware, and can be found crabbing, swimming, and devouring Christian literature and the Washington Post. Alex was born and raised in Wooster, Ohio and attended Wayne Presbyterian Church in Muskingum Valley Presbytery. After graduating from Wooster High School, he attended Messiah College and earned a bachelor's degree in biblical studies, German language and minor in church music. He then entered Louisville Presbyterian Theological Seminary, where he earned his Master of Divinity degree. Upon graduating, he served as pastor of Henryville Community Presbyterian Church and Mount Lebanon Presbyterian Church in Henryville, Indiana. He also served as pastoral support for the Sweaty Sheep new church development in Louisville and as a member of staff for Churches Uniting in Christ. From 2014-October 2018 he was been the pastor of Langcliffe Presbyterian Church in Avoca, PA, near Scranton. In addition to his service at the congregational level, Alex has also been active in Presbytery, Synod, and national service. He served as the President of Trustees and the chair of the Congregational Innovation Team in Lackawanna Presbytery, on a new pastor advisory board for the Synod of Trinity, and as a General Assembly Commissioner for the PC (USA)'s 2016 General Assembly in Portland, OR. In his training, Alex has received his Clinical Pastoral Education training (CPE). Alex met his wife, Corinna Becker (of Ephrata,PA), while in college, and they were married in 2009. They have three cats, two dogs, and one rabbit, who all bring a lot of joy into their lives. When they're not at work, Alex and Corinna love spending time with their two nephews (more on the way!) in Atglen, PA.
Kinsey and Jamie Edgar-Nielsen joined the Covenant Presbyterian Church staff in July 2018 and lead the middle and high school youth programs. For many students, Kinsey and Jamie were already familiar faces, as Kinsey held an internship at Covenant in her Junior year of college and brought Jamie to many events. While Jamie was born in the United States, he spent the next 18 years of his life in Japan. He came back to the states to attend Eastern University where he majored in Anthropology and Missions. He went on to get his MBA from Eastern shortly after as he worked as a landscaper. Kinsey grew up in the Spring-Ford area and also went to Eastern University where she meet Jamie. She received her BA in Political Science and went on to graduate school at Eastern for School Psychology. If you ask the pair what their favorite college is, you can be assured that it is EASTERN! Kinsey and Jamie married in 2017 at a local historic house. In addition to their work at Covenant, Kinsey and Jamie both hold full-time jobs. Kinsey works in IT at a local school and Jamie works in consultation at a local lending software company. When they are not at church or working, the two love spend time outdoors in their victory garden or golfing at local, rural courses. When you meet Jamie, be sure to ask him how to speak your favorite phrase in Japanese. When you meet Kinsey, be sure to ask her what her latest craft-creation is! Jen and her husband, Noel, met at Bucknell University, were married, and settled first in Delaware County before moving to Malvern in 2000. A mathematics major, Jen taught both middle school and high school and was highly involved in clubs and activities with her students before the birth of her children. Parenting then became her passion, and Jen began volunteering in school, church, scout, and community projects with Matt, Jess, and their friends. Jen’s involvement at Covenant began with children’s mission outreach during Sunday School. Jen served as a deacon and is an active Stephen Minister. When the part time Director of Children’s Ministries position was defined in 2012, Jen felt a strong call to apply. She feels blessed to have found a place to focus her strong interest in children and families, outreach, teaching, and God here in this caring community alongside gifted staff and congregational partners. An added blessing is her family’s church involvement and the opportunity to work with Covenant Youth. Outside of church, Jen loves spending time with her family, traveling, and watching superhero movies and television shows (especially Marvel). Tom has been a church musician since 1982. 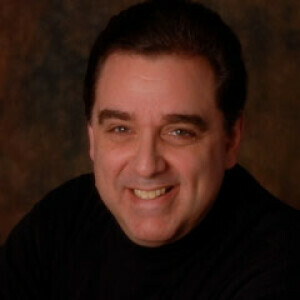 He has served as a Director of Music, tenor soloist, percussionist, and pianist. In addition to his role at Covenant, Tom is the Manager of Choral Product Sales for J.W. Pepper & Son. Prior to working with Pepper, Tom taught general, instrumental, and vocal music in Delaware public schools for 31 years. He was active in the Delaware Music Educators Association where he served as President and All-State Chorus Chair, and ACDA where he served as chair for High School Standards and Repertoire. Karen received a degree in elementary education from West Chester University. She began her career as a classroom teacher in first grade and then kindergarten. Wanting to pursue her love of early childhood development and education, Karen then became a director of a child care facility for children six weeks through kindergarten. Her tenure as director lasted until the birth of her first child at which time Karen became a stay-at-home mom. When her youngest child entered first grade in 2004, she became the director of Covenant Preschool. Karen and her husband live in West Chester with their three children. In her free time she loves spending time with her family at the beach, reading and attending her children's activities. Bobbie has been teaching young minds for the past 16 years at Covenant Preschool. She and her husband live in West Chester, where they raised 3 amazing sons. Bobbie enjoys spending summers on the Chesapeake and is very involved with David's Drive 831, a charitable organization raising money for homeless and hospitalized veterans. Lynn Kraihanzel has lived in PA most of her life (except for 7 years in Rhode Island after she married her husband, Kris, who served as a youth pastor there). She is a graduate of Conestoga High School and Eastern University. She graduated with a degree in Elementary Education. She is a member of Church of the Saviour in Wayne where she served as the full-time Preschool Ministry Associate for the past seven years. Lynn felt part-time work, using her administrative gifts, would be a better fit for her life right now and took the position as part-time receptionist/administrative assistant here at Covenant. Lynn and Kris have three daughters. Lynn’s hobbies include watching classic movies and spending time with her family and dog. She is looking forward to interacting with the body of Christ at Covenant. Jim, and his wife of 30 years, Terry, have lived in Collegeville since 1990 where they raised their two children, Erin and Drew. He brings four decades of architectural design and building experience to the position and has always advocated for efficient and sustainable building practices. Among his many ventures, Jim helped establish The Challenge Program, a not-for-profit construction training program for at-risk youth, located in Wilmington, Delaware into the successful program it is today. Most recently, he has run his own small project design and build operation. Jim has learned much from early childhood education specialist, Terry, over the years and looks forward to working with the entire community at Covenant Presbyterian Church.